Well there you have it. 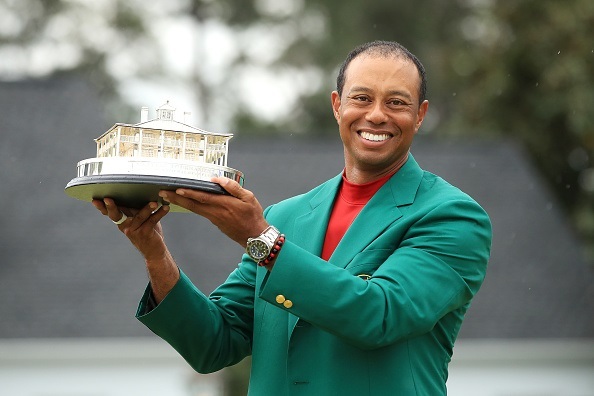 After all these years it seemed to be written in the stars that Tiger would deliver once again among the azaleas and pines of Augusta. Yes, he rode his luck a little, but ultimately he was the player that held his nerve the best coming down the stretch. Once again it was the 12th that decided the fate of The Masters. Amazingly 4 out of the final 6 players visited the water. Only Woods took the age-old advice, hitting the tee shot over the left bunker to the safe side of the green. 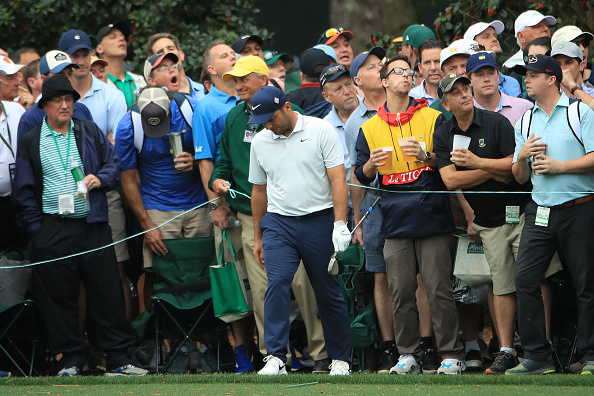 Francesco Molinari stood on the tee two clear but some fifteen minutes later he walked off the green level with Woods. The pair then both birdied the long 13th, with Woods once again benefiting from a bounce off the trees and took par at the 14th. However, Molinari finally ran out of steam at the 15th. 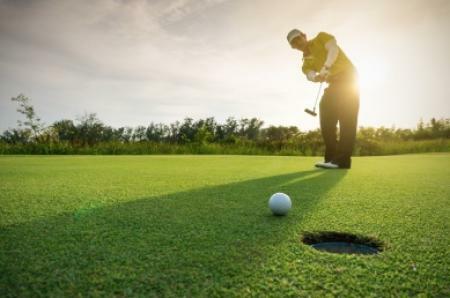 A poor drive resulted in a layup shot into an awkward position from where his pitch appeared to catch a small branch on an overhanging tree; the result a visit to the water once more. Molinari’s demise not only opened up an opportunity for Woods. Players came charging out of the pack with putts going in from every angle. Debutant Patrick Cantlay looked like a real contender until the enormity of the occasion appeared to dawn on him and he slipped back. 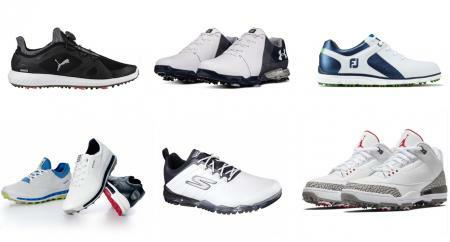 Webb Simpson and Jason Day stayed in contention but never quite got to the leaders. Dustin Johnson seemed to come from nowhere when he birdied 16 and 17 to reach 12 under and Xander Schauffele will look at what might have been when ran out of steam on the same mark. 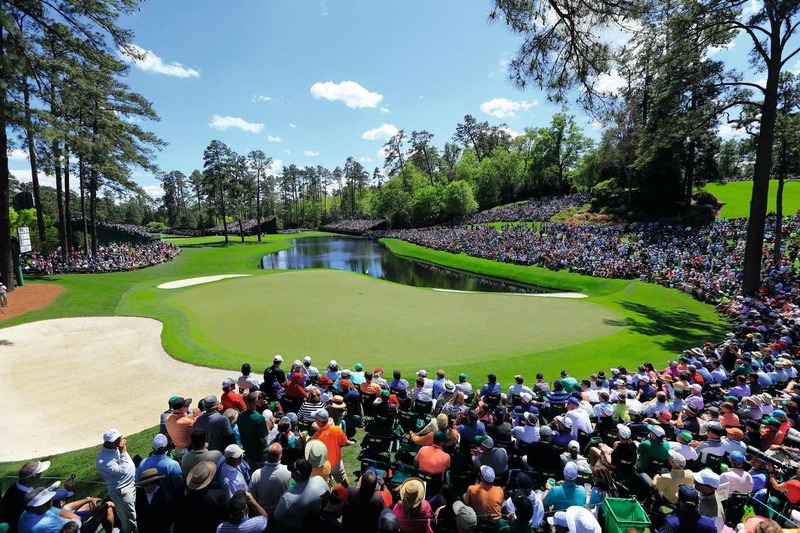 In the second to last group our own Ian Poulter was in contention throughout the opening nine, but he was one of the above-mentioned quartet at 12 ending his Masters chance with a double bogey. Brooks Koepka also took 5 at the 12th but immediately hit back with an eagle at the 13th. Coming to the final couple of holes of the tournament he was the only player that could spoil the party. However, the birdie putts slipped by on both 17 and 18 and so Tiger was left with the luxury of being able to bogey the last to win. 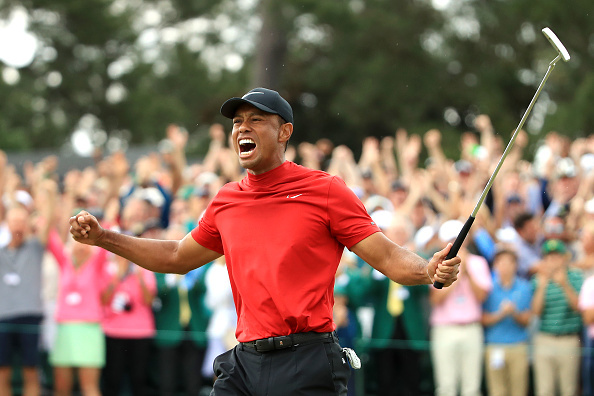 Tiger took the 5 shots he could afford up the long 18th and it was slightly anticlimactic when he tapped in his short bogey putt for victory. The monkey is now off his back and looking at the way Woods played Jack’s record is clearly under threat once again. Listening to the cheers of the crowd this was the most popular victory in a very long time, probably since Nicklaus’s great victory in ’86. 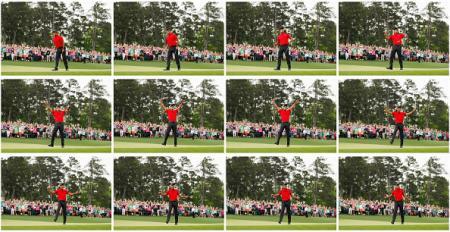 Tiger we salute you and this was a fairy tale, albeit one covered in tight mock turtleneck shirts of various hues!